Dr. Foretia is Co-Chair of the Denis & Lenora Foretia Foundation and Executive Chairman of the Nkafu Policy Institute, a leading Cameroonian think tank. Along with co-chair Lenora Ebule, he shapes and approves strategy, advocates for the foundation, and helps set the overall direction. He is also the Chairman of Merckshire LLC, an international holding company with operations in the US and Cameroon. A surgeon by training, Foretia has always been involved in philanthropic activities and issues related to international development. He is currently the President of the Association of Cameroonian Physicians in the Americas (ACPA). 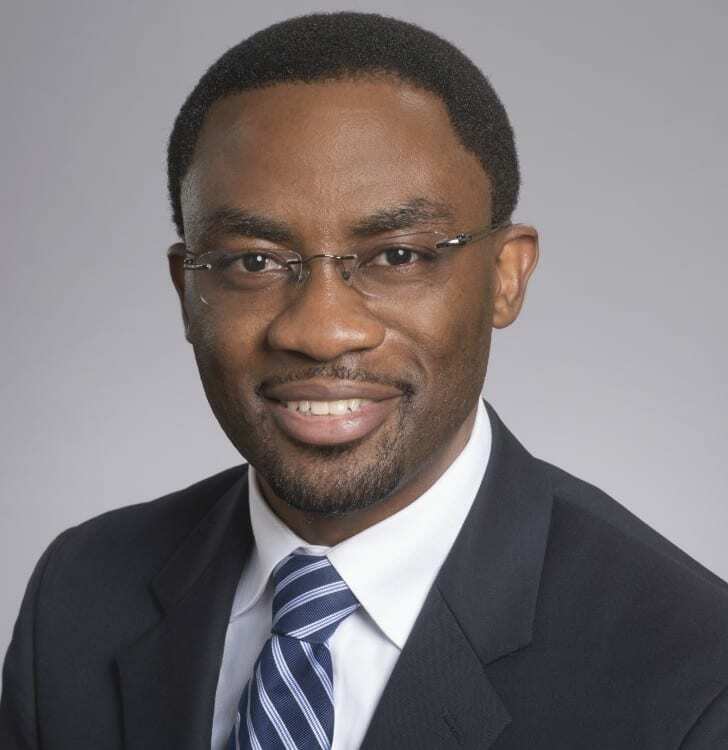 He is also the Co-Founder and pioneer president of the Cameroon Professional Society (CPS) – the premier institution for Cameroonian professionals in the US focused on advancing economic opportunity and leadership development among Cameroonians. As the former Executive Co-chair of the Meharry-Vanderbilt Alliance, he helped spearhead major community service-oriented and leadership-driven projects geared towards uplifting inner-city children in the Greater Nashville area. His leadership as National President of the Cameroon Students Association (CAMSA-USA) saw a paradigm shift towards positive intellectual discourse and the development of philanthropic projects that solidified CAMSA’s standing in the community as the premier student organization in the diaspora. Denis remains very involved with helping young Cameroonians transition into professional institutions and advance in their professional careers. He has been recognized with multiple academic and professional awards such as the Vanderbilt Deans Scholarship, the Overall Fellowship, the Community service award from CAMSA. Foretia is faculty in the department of surgery at Johns Hopkins University and staff acute care surgeon at Lifebridge Health in Baltimore. He is also an Associate in the department of International Health at the Johns Hopkins Bloomberg School of Public Health. He holds a Bachelor’s degree with honors in Biological Sciences from the University of Maryland Baltimore County, a Doctor of Medicine degree from Vanderbilt University School of Medicine, Nashville, Tennessee. He also holds a Masters in Public Health (MPH) from Bloomberg School of Public Health at the Johns Hopkins University and a Masters in Business Administration (MBA) from the Carey School of Business also at the Johns Hopkins University. The Foretias enjoy traveling and are blessed with a daughter, Gélan and a son, Baiden.